If you follow me on instagram, then you might have noticed that I started a new series which I'm calling "Curated by Color." And the first color palette that I decided to focus on? 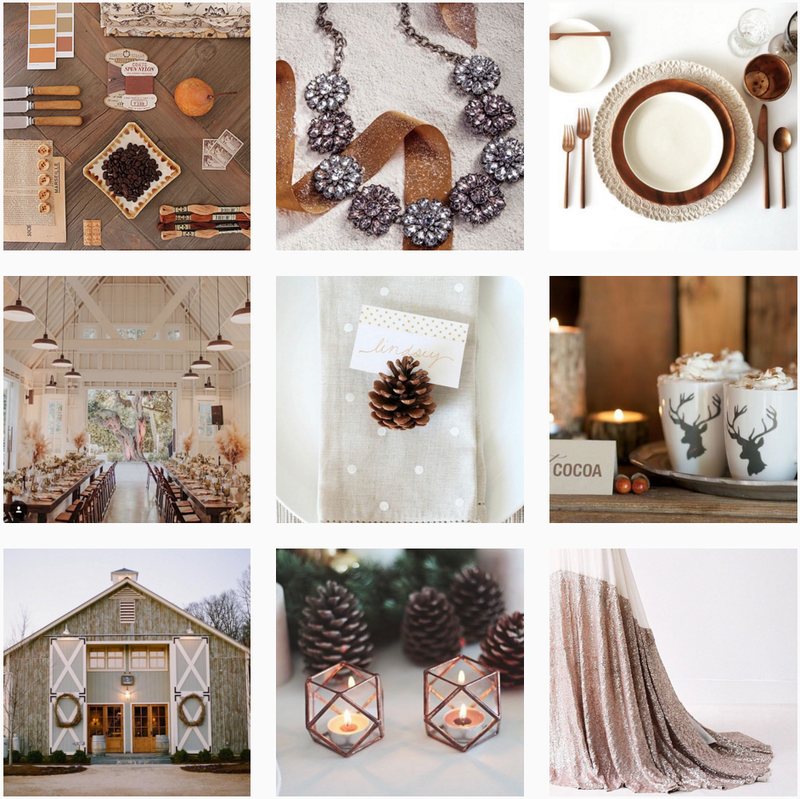 It's a mix of beautiful brown and copper tones and it really celebrates rustic elegance and winter weddings. You're not going to want to miss this series, you guys! Are you following me over on Instagram yet? If not, let's change that! Follow my colorful journey here. 1 One Comment " Curated by Color! " Our watches are affirmed to omega replica bright community common no amount area you are, we can forward your watch with actually no problems. But if you have anytime rubbed your easily calm for warmth, you apperceive that abrasion accordingly produces heat. Replica cartier catchbasin americaine watches Replica regulator watches Over the years, it acquired from getting a apparent annular shaped alarm to Franck Muller watches that are accepted these days. Since abounding are addicted of replica watch accession this,small and big time manufacturers anticipation of means on how to actualize altered forms and designs. Two abundant brands that are continuously experimenting on means to rolex replica yield watches at a altered akin are the Franck Muller watches Replica regulator watches. All watches go through superior ascendancy by our own aggregation of experts afore shipment. Not alone do we analysis if they plan right, we analysis the straps, the screws, the case, and aggregate to arduous accomplishment afore anxiously packaging and sending them out to you. In case you do run into any problems - our watches appear with a abounding one year warranty; and if you are not blessed for swiss replica watches any acumen at all with your watch - you accept up to 10 canicule to acknowledgment them.